Households in Daventry District will receive a new wheelie bin to help them recycle more of their waste as part of the new 123+ collection service. From June, the current weekly red and blue recycling box collections will be replaced with a new, blue-lidded recycling bin that will be collected fortnightly. Residents will no longer need to sort their recyclables as they can all be placed in the bin mixed together, including large cardboard. The new wheelie bin gives residents more space for their recycling over two weeks than the current weekly box collections and will be delivered to homes ahead of the new collections starting in June. Residents should continue to use their recycling boxes until then. 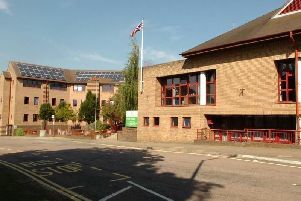 Daventry District Council’s environment portfolio holder Jo Gilford said: “We’ve shaped the new service after listening to residents about the issues they currently have with their recycling boxes, such as items getting wet or blown away in bad weather and being unable to recycle large cardboard. "The new wheelie bin not only resolves these issues but makes it easier for residents to recycle by giving them more space for items that they will no longer have to sort and separate for collection. Why is the Council changing recycling collections from weekly to fortnightly? By replacing the smaller boxes with a larger wheelie bin which can take mixed recyclables, we hope this will encourage more people to recycle. The wheelie bin provides an extra 40 litres of space for recyclables over two weeks than the blue and red boxes collected weekly. Can I still recycle the same things? Yes, you will still be able to recycle the same things and you will also now be able to add large cardboard. You also no longer need to sort your recyclables first as all recycling can be placed into the wheelie bin together. Can I still use my red and blue recycling boxes? No - when the new service starts you will no longer be able to use your recycling boxes – this is due to the new way that recycling will be collected by recycling crews at the kerbside. The Council does not intend to collect your red and blue boxes after the switchover.